Do you, uh, collect orcs? Diablo Immortal isn't the only mobile game in development at Blizzard, according to a new report from Kotaku. The studio is also reportedly working on a Warcraft mobile game based on Pokemon Go, the mobile critter collector. According to Kotaku's report, this game's development was spurred by three main factors. Firstly, and most obviously, Blizzard loves Warcraft. Secondly, lots of Blizzard staff love Pokemon Go, with many employees apparently routinely warring over the Pokestop statue in the middle of the studio's Irvine, California campus. And thirdly, according to one anonymous employee, many Blizzard employees enjoy playing mobile games and want to try making them. 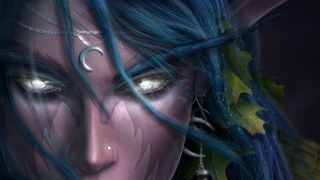 This mystery Warcraft game is said to be in development at Blizzard's newly formed incubation department, but it has not been officially announced. That said, if it winds up being as true to Pokemon Go as the reports say, it's not hard to imagine how it might play. We've already seen how the Pokemon Go formula has been applied to other series, and it generally amounts to exploring your surroundings and collecting characters. So in a hypothetical Warcraft Go, you'd probably collect orc soldiers or something, or perhaps pets? Niantic itself is already working on Harry Potter: Wizards Unite, a Potter counterpart to Pokemon Go. And as Eurogamer reported, there was even a collect-'em-up mobile game about Catholic saints. If you're wondering, it was called JC Go, according to Italian newspaper Corriere Della Sera, which is presumably short for Jesus Christ Go, which is presumably based on the average person's response to the car in front of them not accelerating for .47 seconds after the light turns green. Anyway, you can read Kotaku's full report here. Diablo 4 was a Dark Souls-like action game before it was rebooted, according to Kotaku's report.